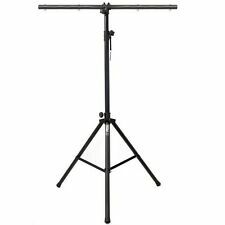 Professional grade tripod lighting stand with TBar. SWL: 30 kg. Weight 3 kg. Colour: Black. 120 x 1100 x 110 mm. LIFETIME WARRANTY & FREE CARRY BAG INCLUDED! Gorilla Stands GSS-200 Up to 60 kg Tripod Speaker DJ PA Disco Stands PAIR. Gorilla DBS PRO DJ Mobile Disco Booth Deck Stand System inc Warranty. 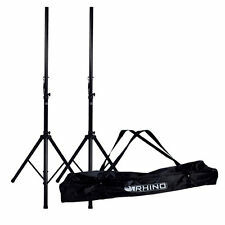 Gorilla GDS-KIT Ad-On Black Scrim Kit for GDS-4 & GDS-5 4ft Disco Stand Booth. 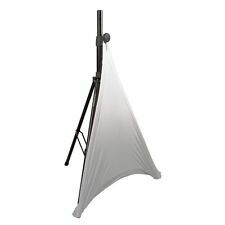 BLACK & WHITE CLOTH + LIFETIME WARRANTY INCLUDED! Features: 100% brand new and high quality! Tough construction. Height adjustable. Quick and easy to setup. Lightweight & portable. Perfect for mobile discos & bands, etc. Specifications: Color:Black Size: 2.4*1. 6 Fixing points with M10 bolts & wing nuts. Add to Favourites. 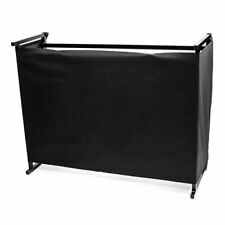 B-Stock Lime Light Foldable Disco DJ Lighting Screen 4 Panel Booth Deck Stand. Collection in person only. Professional grade lighting bridge. Colour: Black. Weight 20 kg. A smart, well designed carrying bag for your foldable DJ Screen, designed to protect and cover your foldable DJ Screen from dust and damage, it also helps make transportation of your DJ screen easy and accident free. Main Features Ultimate Protection for Foldable DJ Screens For Ease of Transport and Housing Convenient Carry Handle Extra External Pocket for Tools etc. 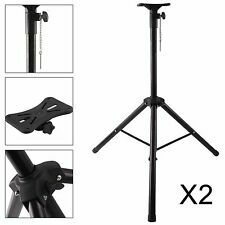 2x Thor LS002 Tripod Lighting Stands with TBars. Professional grade tripod lighting stand with TBar. SWL: 30 kg. Weight 3 kg (Single Unit). Colour: Black. 120 x 1100 x 110 mm. Brand Unbranded MPN 013527842ZC963100 EAN Does Not apply. Professional grade tripod speaker stand. Material: Steel. SWL: 60 kg. Weight 3.2 kg. 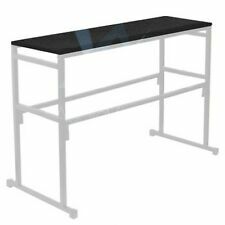 1x 9U Professional DJ Stand. Slanted/adjustable top mixer platform mount. Four poles onto the top of the stand and base help to hold the Mixer which cann't be installed on the stand. Gross Weight: 10KG. ✔ incl. Bolts, Wing Nuts ✔ Steckable ✔ Value Price! 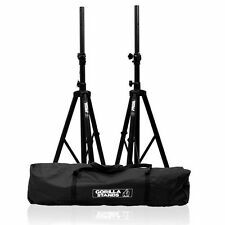 Gorilla GSS-300 Premium Higher Quality DJ Disco PA Speaker Tripod Stands PAIR. 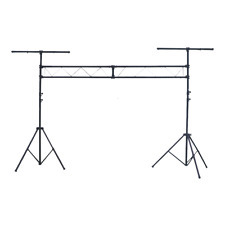 Novopro DJ Disco Lighting Height Adjustable from 1m to 2m approximately Podium Plinth Stand (Pair). 2 podiums come in carry case with both white AND black scrims Collection preferred but would consider shipping at buyers expense. Condition is Used. Can I reserve item(s) that I intend to buy later?. Black steel finish. How do I find the item number or product code?. Need more information?. When will I receive confirmation of my order?. What if I have not received my order?. Stand features include heavy duty locking knobs and pin position safety lock. Max load: 30kg. Pin Position Lock. White powder coat finish. Weight: 3.4kg. 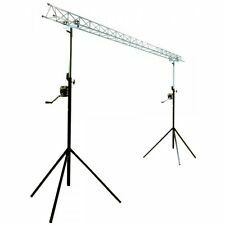 Truss can separate into 2 x 2m lengths for ease of transport. load 75kg spread over the full width. Pre-drilled holes to fasten up to 12 light effect units. Stand for a laptop and projector L-2. Add to Favourites. Available colours black. UKDJ - DFB Sound & Light Warehouse Limited. £22.95 RRP: £39.99 : You Save £17.04. Lamp Leads & Accessories. Pro Audio & Lighting. Maximum load: 20kg. We are all here to asist in any way we can. Stand & Cases. QTX Wall Adjustable Speaker Bracket Pair. weight load 50kg each. A pair of robust wall brackets for mounting speakers with a 35mm pole-mount. Adjustable extension (from wall) 300mm, 320mm, 340mm, 360mm. If you're a DJ, producer, remix artist, or any other type of musician that uses a computer live, this is the stand for you. 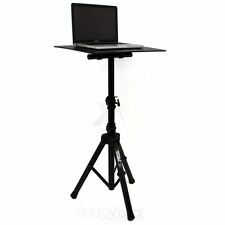 Rubber pads on the top and bottom of Laptop Stand Pro ensure that your computer is secure and will stay in position, even during high-intensity performances. Maximum load: 60kg (132lbs). Stable tripod base. 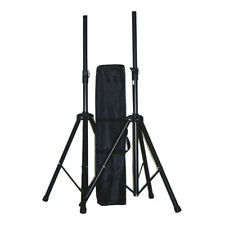 Steel speaker stand pair with carrying bag Q series speaker stand set. Folds flat for easy transport. Colour: Black. Standard top mount (35mm / 1"3/8). Condition is Used. Full light bar which can support a multitude of fixtures. I have used this stand for years, really easy to set up and take down.